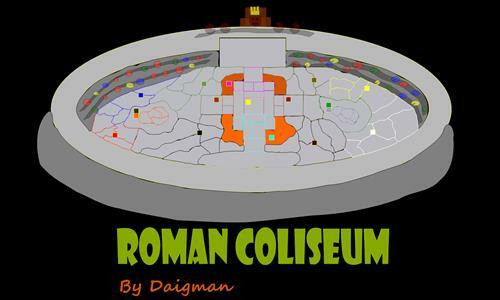 This is a 1v1 ancient Rome styled coliseum. Enjoy and fight to the death. This map has potential. However, the lack of distributions makes it virtually unplayable. The notes said one had been added, but I did not see it. Also, the artwork is sloppy - I don't always mind that so much but here it's actually distracting. It also makes it difficult to see where territories connect. The two sides are balanced and the bonuses are relatively small, making conservative play a must. Review by Daryle on 12/9/2017. Cool Map. I like that it is a race to secure the middle portion then branch out from there. Review by Ufolec on 6/9/2014. based '15 units' is too much.